Thanks to one of Cusinivity reader for sending me a comment on the Palaver Sauce recipe that I put on the Liberia page of Global Feast. 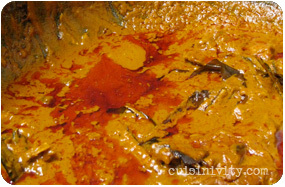 She explained that authentic palaver sauce is made of jute leaf rather than collard greens and spinach. The recipe was from the Liberian Cookhouse Cooking which might be geared towards non-Liberians who are interested in Liberian cuisine and sometimes they substitute hard-to-find ingredients with more common ones. I researched a little bit about jute leaf. 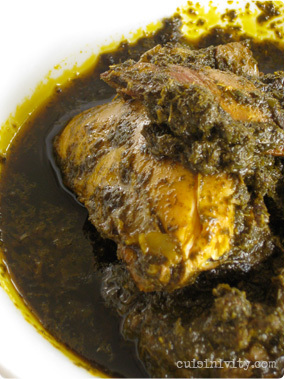 It is also known as West Africa sorrel, jam leaf, krin-krin, saluyot, and Melokhia. They are also widely used in Asia and the Middle East. I will look for jute leaf the next time I visit an Asian market. I am not sure if I can find it at a local supermarket or even at Whole Foods. Has anyone seen them? I received a fantastic book recently from a member of the Friends of Liberia group a few weeks ago. I had heard of and seen this book before at a friend's house, but I could not figure out how to get it. So I was shocked when I saw this book in my mailbox. 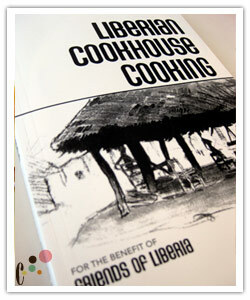 The book is by far the most complete and well-organized resource on Liberian cooking I have seen. I had such a good time just reading through all the recipes. There are more than 100 recipes inside and there were a few for things that I ate in Liberia a long time ago but never knew exactly what it was. Friends of Liberia is a non-governmental, non-profit organization that seeks to positively affect Liberia by supporting education, social, economic and humanitarian programs and through advocacy efforts. If you are interested in supporting this group, please go to their website at www.fol.org. 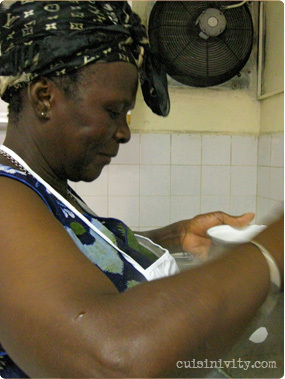 If you are looking for a good Liberian cookbook, this is one for you. You can purchase the book from their website. 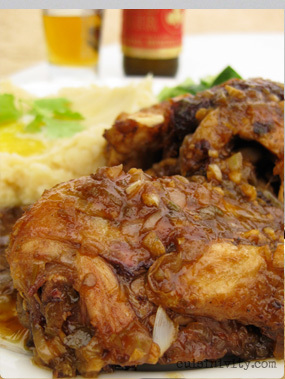 Recipe from Liberian Cookhouse Cooking by Friends of Liberia. 1 In a one-gallon pot, simmer beef in salted water until half cooked. Add collard greens and spinach and simmer until meat and greens are cooked, about 15 minutes. 2 Add fish and cook for five minutes, or until all water is absorbed. 3 Sauté onions and hot peppers lightly in a small frying pan, and add to meat mixture. Simmer five minutes longer. Serve with white rice. I have been thinking what would be my last report from Liberia. Even on the way to the airport, I saw several new restaurants including a new Turkish restaurant that opened four days before my departure. But as I prepared to leave, I reflected on my arrival to Liberia. Two years ago, the Living Room at the Royal Hotel in Sinkor was the place most expats preferred, and especially valued for me to satisfy my craving for sushi. only place to be and it has been there for me to help my sushi craves. 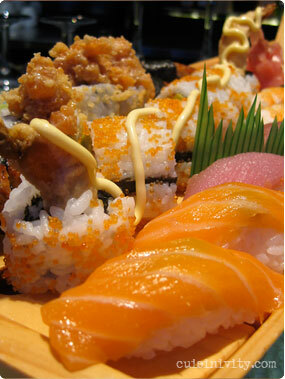 Then in 2008 a second sushi bar opened just steps away from my residence in Mamba Point. As far as I know, there are (were) only a handful of Japanese citizens living in Liberia so to have two sushi restaurants in Liberia was very special. However, as soon as there were two, many people asked me (since I am Japanese) the big question: "Which sushi is better - Royal or Mamba Point." It took some time to evaluate, but here is my verdict. For much of 2008, my answer was solid: Living Room at Royal was much better. 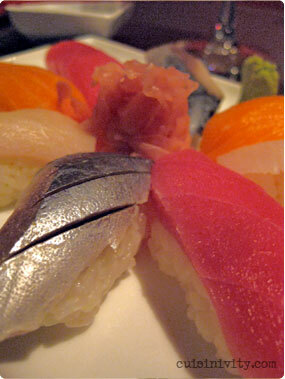 More customers and more experience helped the Royal to serve better quality fish. But then throughout the last half of 2008, for long periods of time, Royal did not have any good variety of fish. No tuna, no shrimp, no eel... so I started going to Mamba Point more often. 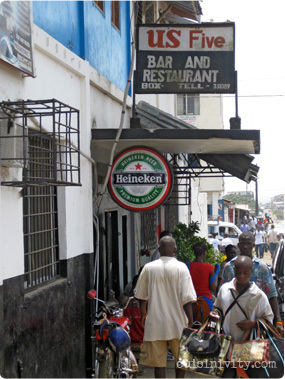 My first visit to the Barracuda bar at the Mamba Point Hotel was not a good one. I did not like the quality of fish at all. It was hardly edible, at least for me. Worst yet - the rice was too soft, had too much vinegar and the chefs smashed it so tightly that it tasted like a ball of glue. Because of their experience, perhaps, Royal's rice was always good. 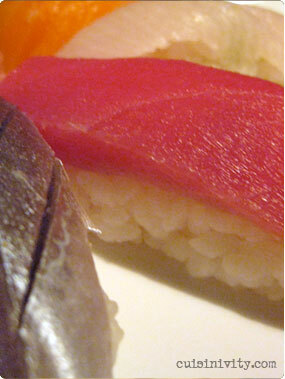 Since both Royal and Mamba Point import all the ingredients from overseas, the quality of sushi had been largely based on how they prepare the sushi rather than the freshness of the fish. But that changed a bit past year. The quality of fish noticeably improved at the Mamba Point. And by the end of the year, the rice began to improve as well. All the while I kept calling Royal waiting for them to get a shipment of fish. It took months. Finally a shipment arrived and in April 2009 during a series of visits, I made a strict comparison. 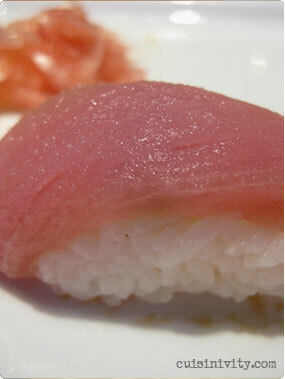 Maguro (Tuna) at Mamba Point was probably close to chu-toro (more fat) verses at Royal they served Akami (red meat). There was an obvious difference between two (toro has more flavor) but the price was identical. 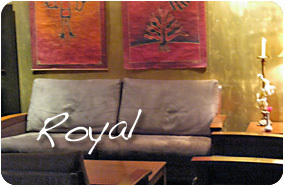 *I had a very difficult time to take photos at Royal. The restaurant is very dark and it was impossible to take a reasonable shots without special lighting. I did not see the huge difference on sake (salmon) between two although the thickness and fattyness of the salmon was better at Royal. I beleive that bigger is not always better when it comes to sushi. 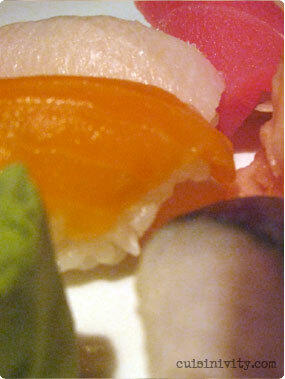 Sushi is all about the balance of each elements. The size of rice and fish needs to be balanced, the amount of wasabi (I want to close my eyes whenever I see people dump a mound of wasabi in the soy sauce) should be balanced with rice and fish to compliment each other and the sourness/sweetness of vineger for sushi rice should be just right not to overwhelm the others. The texture of the rice is also important. 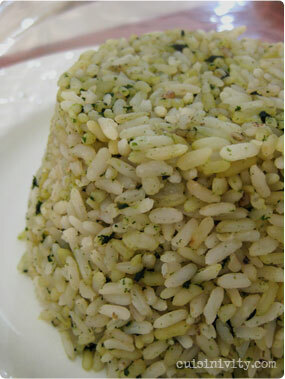 Rice should be easily separated in the mouth but not fall apart until you eat it. Royal imports all their ingredients from one place, Lebanon. On the other hand, Mamba Point has experimented a lot and the source of each ingredient is different. Some came from Brussels via Brussels Airlines. Some came from Morocco via Air Morroc and when we are lucky, we can get the local tuna and snapper. But when they have a local tuna and snapper, they are gone in short time, they said. Service at Mamba Point improved a lot but at Royal, they seem always to be taking a lot of time no matter how busy they were. 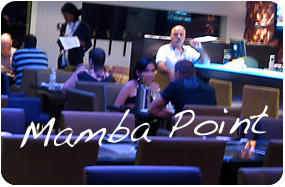 So, as of May 2009, I give the first prize to Mamba Point hotel. It really was a come-from-behind victory. I still don't like their sushi rice which remains sticky and unbalanced. 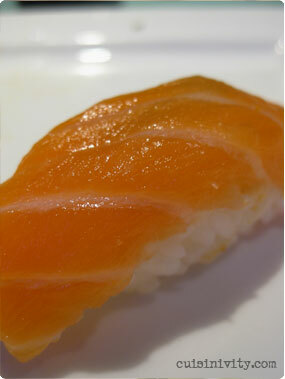 But if you simply order sashimi with a separate bowl of rice (not the rice with vinegar), you can avoid those mistakes. All and all, I owe a big thank you to both restaurants. Monrovia was good to me and those two restaurants helped keep me happy. 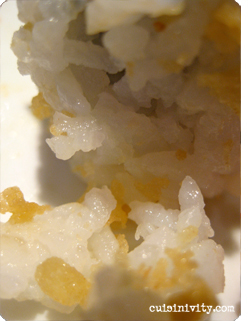 You can see the grains of rice are smashed and they are not retained the original form. They cooked rice too soft and slightly over vinegary and squeeze it too hard when they form the sushi. Probably the completion of the RLJ (Robert L. Johnson)'s Kendeja hotel is one of the most exciting developments during my two years in Monrovia. Having such a high class hotel seemed impossible when I arrived here but here it is, they built one. The location is a little far from where I live but improved road conditions make the trip to this hotel out towards the airport seem close. The hotel is actually still under construction and their official opening is in June 2009 but the hotel did open early to visitors as part of the recent International Colloquium for Women's Empowerment held in March. It is not just the construction that is unfinished. The menu and the service are still works in progress, so it is probably unfair for me to judge the restaurant at this time. I am curious and hopeful to see how things will improve for the official opening, but unfortunately, I won't be here for the grand party. I have tried dining at Kendeja twice so far. The first time was just bar food for lunch. To be honest, I was not impressed. They explained that they had not received the proper food supplies yet (lots of imports) so that might be the reason for the disappointment, but the shrimp sandwich had almost no shrimp and it still cost as much as a full meal would elsewhere. The second time we went for dinner and ordered from the main menu. The sunset from their outdoor seating was quite breathtaking and I enjoyed sitting there watching the sky change color every minute. One of our friends who also has been to Kendeja for dinner before told me they had a great fixed price menu but unluckily it was not available during my visit. Again, I think they are still experimenting with various things (I hope) so the Kendeja dining experience has been varied based on when you go. Some of the items on their dinner menu were quite ridiculously expensive; for example $45 for a steak seems outrageous, unless it was made with high quality Japanese beef, and over the top for Africa. I ordered Mozzarella and Tomato Stack (slices of fresh mozzarella cheese layered with ripe tomatoes and dressed with basil pesto and balsamic vinegar) $8 and Spicy Chicken with Sweet Chili Jam (strips of chicken in a nest of flash-fried potato greens, with sweet chili jam) $9. They are both starters. The Mozzarella and Tomato Stack was good. I was expecting something like an Insalata Caprese but it was a baked tomato with processed (not fresh!) 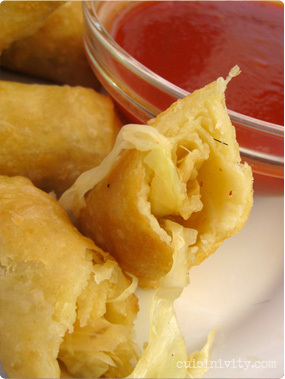 mozzarella cheese. I was very hungry by the time they brought the food after a very long wait so it tasted better than one might expect. Then, the spicy chicken with sweet chili jam arrived. It was a beautiful dish. I loved the idea of crispy potato greens. I make crispy basil and other herbs sometimes but I have never thought about doing it with potato greens. Both the presentation and the taste was really very good. The slight bitterness and crunchy texture of the potato greens went really well with the moist and soft chicken breast. 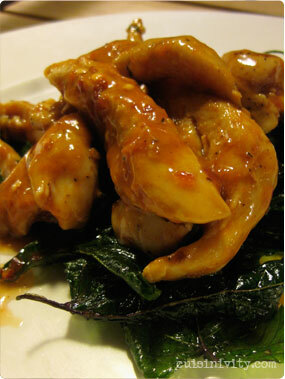 The Asian sweet chili sauce also complimented the crispy greens. This chicken starter was tasty, beautiful, unique and a good quantity for a starter. I recommend it highly. There is still a long way to go to meet hospitality standards of international hotels but I am still amazed to see this only a few years after Liberia's long war. 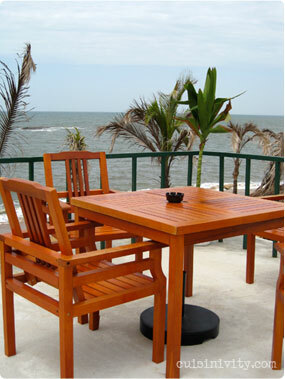 Liberia is such an interesting and dynamic place so I hope having this hotel will attract more people to visit. I just hope people don't think that life in Kendeja is the same as life in Liberia! I have been collecting data for a review of the US Embassy canteen for some time, and I have always heard that the UNICEF canteen nearby is the only real rival. So I thought it might be fun to have an informal competition. Iron Chef - Battle of the Liberian canteens! Besides my housekeeper's occasional Liberian food, the place I go the most for Liberian food is the canteen at the U.S. Embassy just a stone's throw from my apartment. The Embassy has a good cafe/bar, but most of the local Liberian staff (and a few American fans) eat at this small, affordable canteen. I have been many times, especially recently, and have managed to try just about everything on the menu. Because the canteen is for the hundreds of local staff, the food is fast and the price is extremely reasonable (or I can say ridiculously cheep). 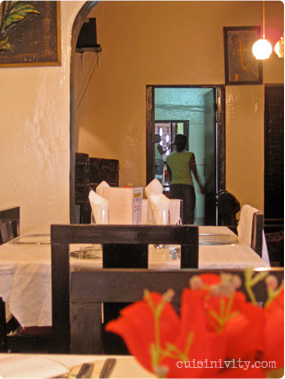 Everything on the lunch menu is $100 Liberian dollar (= US $1.50) and the menu rotates everyday. The only exception is on payday (every other week) when they have a special menu of jollof rice for LD $200. The canteen cooks start cooking early in the morning. They only cook just the right amount of food each day so you know what you are eating is freshly made. 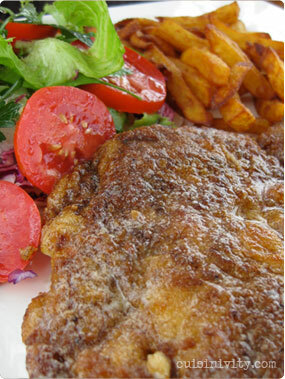 Certain dishes sell out really fast so it is best to call in the morning to secure your food. I don't know how they manage to offer food at such a reasonable price which is not too far behind other higher class (and price) restaurants. Each dish always contains a healthy amount of fish or meat and a massive amount of rice (I usually eat half the lunch and take the other half home). The canteen cooks stive to make simple Liberian dishes "the Liberian way" which is really the best way to try Liberian food. And all this for a reasonable pirice. The canteen rotates their menu among potato greens, palm butter, pepper soup, cassava leaf, jollof rice, beans and rice, cabbage stew, gravy, palava sauce and a few other options. The food is on the spicy side compared to other restaurants, and perhaps a little less oily. The number one dish for me at the canteen is jollof rice. Simple as it can be with rice and chicken and a good kick of spice. A lot of restaurants put canned vegetables in jollof rice but I like how the Embassy canteen has just some fresh ingredients and really soft chicken. As I said, the jollof rice is a little more expensive than the usual daily dish, but at LD$200 I received so much that I ate it for three days! Another dish I like a lot is the cabbage stew. They probably use a similar seasoning as in potato greens but the cabbage gives a little extra sweetness to make the flavor milder and the texture a bit crunchier. I loved the flavor of pepper soup but it is extreamly spicy. And of course beans and rice is a good choice. I admit that as much as I try to appreciate palm butter, I have had a difficult time... it is extremely thick and turns my teeth yellow. I just don't see the allure. So for me , I guess palm butter and casava leaf were the least favorite dishes. Because I live next door, many times I bring my own tupperware and get my meal to go so that I can eat at home (and take notes!). In this way, I don't have waste any food (since the portions are so big) and it allows me to fix a simple salad to go with the dishes in order to make a nutricious meal. I may not be able to give an accurate comparison between the US Embassy canteen and the UNICEF canteen since I have been to the US Embassy canteen many times and I have visited UNICEF once but I invited several other Liberian friends with me and we ordered and shared several options that day in order to compare and discuss the differences. For starters, the UNICEF canteen is much larger than the Embassy one. More spacious and more staff. So you feel a little more comfortable there, and in particular, it is a lot easier to find a chair and talk. There is a relaxed feel, and staff and customers seem to enjoy a leisurely lunch (even watching TV for a while) rather than eating and getting straight back to work. 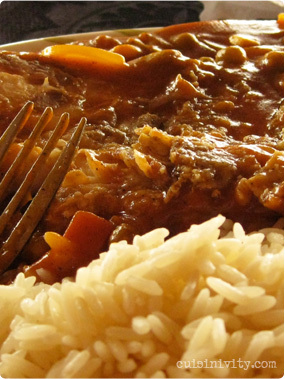 The menu of the day was gravy with chicken and check rice, cassava leaf and fried rice and chicken. Like everywhere you go, the portions were outrageous and I regreted that I forgot my to go tupperware. The gravy with chicken tasted good. A little spicy but I realize I probably say that about every Liberian dish so what's the point. As you can see in the photo, it was also quite oily.The check rice on the side was even more spicy (okay, that's the last time). 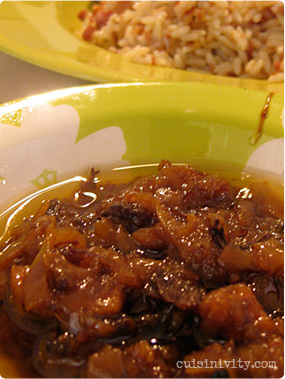 Check rice is steamed rice mixed with base of greens and palm oil (called Palava sauce). The rice was a little tough according to my friend but I thought it was not too bad. Next was cassava leaf. 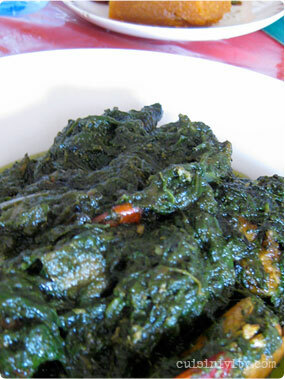 Cassava leaf will never win a beauty contest - it just does not look good in general. 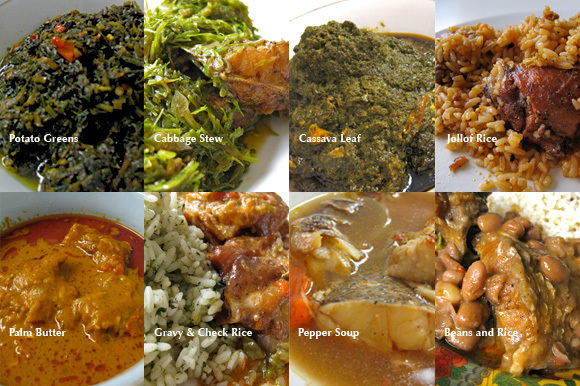 But the cassava leaf at UNICEF was probably the worst looking so far in town. If I order it, I would loose my appetite (sorry). I did not taste this one but two persons at the table who tried gave me the thumbs down. They said it was way too spicy and not too pleasent to eat. Lastly, my fried rice and chicken. It was actually quite nice. Frankly it tasted a lot like Chinese fried rice. They put way too much black papper in it but I like black pepper so I did not mind so much. They also use frozen mixed vegetables which I always think is a shame when there are fresh vegetables all around in dry season and they are a lot cheaper than the imported cans or frozen kind. Why not leave them out or better yet: put in a bunch of chopped onions that you can find in the local market? 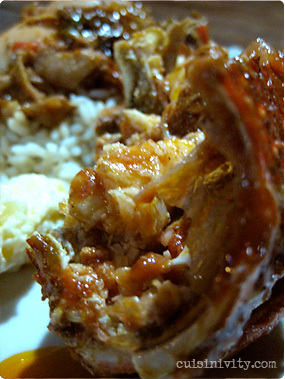 The chicken, on the other hand, was tender and meaty and the sauce was not over-oily which was a good sign. I am a bit biased, but with a touch of soy sauce, this would make an excellent asian dish. The prices for each lunch are different. Palava sauce with check rice was LD$200, cassava leaf was LD$150 and my fried rice with chicken was a rather high LD$350. All in all, I have to say the UNICEF canteen was a strong competitor with good service, well-presented food and decent ingredients, but when it comes to taste and value, the Embassy canteen is the winner - this round. 1. Soak fish in the water a few minutes to soften and take out all bones. 2. In a saute pan, put chicken, fish, 3 minced garlic, hot pepper, seasoned salt and 2 cups water. Bring to a boil and cook until only 2/3 cup of water is left in the pan. 3. Meanwhile, wash greens and sprinkle 1/2 tsp of soda on the top. Set aside. 4. In the large saute pan, add 3-4 tablespoon oil and saute minced garlic and chopped onion until soft. Add greens and remaining baking soda and cook them for about 15 minutes until all the liquid is gone. 5. Add meat and fish mixture with remaining cooking liquid into the green and cook until all the liquid is evaporated. Season with salt and pepper (Liberians usually use bouillion cubes for seasoning at this point). 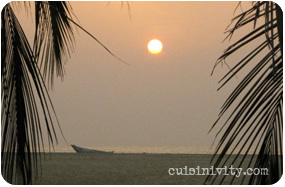 Another new beach bar and restaurant just opened near Monrovia (seems like there is a new place every week!). Sharky's is located in Virginia beach between (what's left of) Hotel Africa and Cece's beach. Construction of the hotel continues but the beach bar and restaurant is open and it is great to see yet another new business opening here in Monrovia. 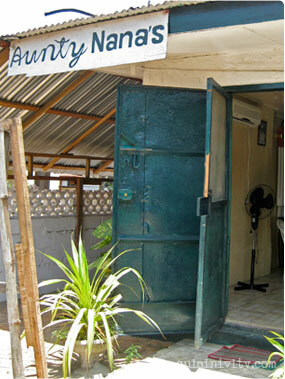 The property has several palaver huts when you enter the compound, and there is a nicely outdoor kitchen/grill and bar bordering on the beach. They also built a second-floor deck overlooking the ocean with very nice patio funiture for a very relazing and pleasant view - not to mention a cool breeze. 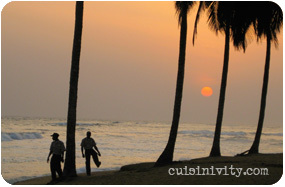 There is a decent sized swimming pool and of course a nice stretch of beach with lounge chairs and picnic tables. The beach has some large rocks about 50 feet out which are spectacular to watch as the waves crash over, but it looks like it might be a bit treacherous for swimming or surfing out too far. There was a DJ spinning fun tunes, perhaps a bit loud in the compound but more tolerable out on the beach. Sharky's food lineup was the typical mix of basic Lebanese and Liberian dishes along with sandwiches and burgers. . We ordered hummus ($5), fattush ($6) and one grilled fish plate ($15). The Fattush is a nice size salad for the price with lots of veggies and fresh herbs and plenty of pita chips on the top. It is great for a light lunch. 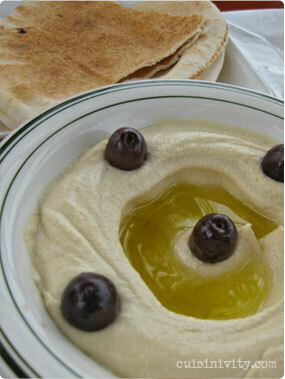 The hummus was nice and creamy but I think it needs a little more taste - perhaps a kick from some garlic - and a little less tahini. 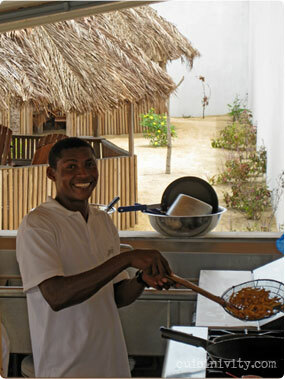 As elsewhere in Liberia, the "grilled" fish was actually pan fried with lots of oil. The fish itself was very soft and juicy but much too oily. It came with a small stack of fries and a nice side salad with very fresh tomatoes. Good news for cocktail lovers - more than half of Sharky's menu is devoted to mixed drinks. Besides the basics like gin/tonic and beer, they serve a variety of so called "premium" drinks like mojitos ($7), cosmopolitans ($8), mai-tais ($8) and pina coladas ($8). 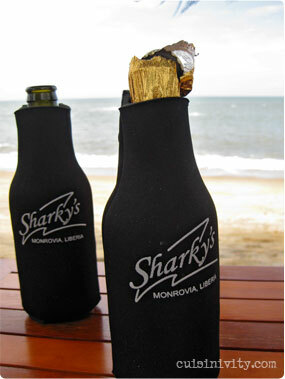 Sharky's gives beer lovers an extra treat too, with monogramed beer sleeves to keep the beers fresh and cold on a hot day. It is a great touch and it really did seem to keep the beers tasty much longer. Next time I'll get someone else to drive so I can try some pina coladas! class="textnormal">Above all, the best thing about this place was the quality of service. Our waiter Phillip was extremely polite, efficient and professional. He kept his eye on the small details to make sure our stay was enjoyable. He was always nearby and yet never too imposing. As soon as we ordered food, he brought an extra table and a silver tray full of nice tableware. 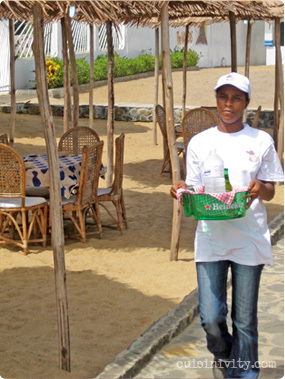 The service was quick and Phillip really made the visit a uniquely pleasant experience - far above average for Liberia's still young tourist and service industry. The other staff looked just as professional so I commend Sharky's for their care in staff development. It really shows how much some other restaurants here need to invest more in their people. We received many recommendations for Aunty Nana's from local friends so I decided to check this place out. This is a local restaurant but somewhat upscale given it's location near City Hall, UN offices, and the Executive Mansion. A little more reasonable than US Five but still LD$400 is a lot of money for most of Liberians. The inside of the restaurant is rather eclectic, painted in black and white zebra motif and decorated with chinese inspired red and gold curtains, fake roses on the table and practical plastic chairs. It is very interesting interior decor and very unexpected from a local joint like Aunty Nana's. Service is quite good and I really liked that they give you a big wet towel to clean your hands with at the start of the meal. They have the usual rotational menu but it seems like they offer a little more variety than others. The day we went was Tuesday which is usually a good day to try Liberian restaurants and they had kidney beans with rice and potato greens with rice (and of course fufu or dumboy with soup). Their potato greens were very creamy. It looks like they don't chop the greens to small pieces as many places do so it looks like very wilted spinach. The dish was a little oilier than some other places but not spicy at all. I don't mind a little spice but some Liberian dishes are so spicy it is hard to taste anything else, so I was pleased to be able to clearly enjoy the greens at Aunty Nanas. 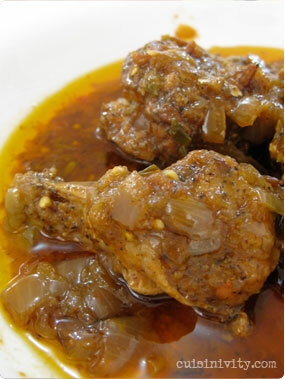 Those who like spice can always ask for some Liberian pepper sauce and add to your food as you like. I found that the meat was little tough but that is rather typical. Nana's also put some crawfish in and again it was a little rubbery. However, their fresh fish was very soft and fluffy. Many Liberian places tend to cook fish until it is rock hard but Aunty Nana cooks the fish just right. 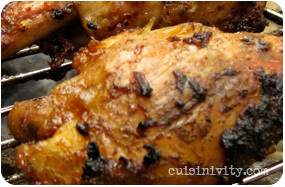 It was very tender and flavorful and made me happy. We also ordered the kidney beans with rice. I wasn't expecting much more than a bland plate of beans and rice, but it turned out that this dish became one of my favorite local meals in Liberia. It tastes more like the thick rice and bean dishes that you can find in latin countries (think fejoada). It was slightly spicy with a light vinegarish sour taste. They cook the beans with oxtail and chicken so that the whole dish is huge and almost impossible to finish. 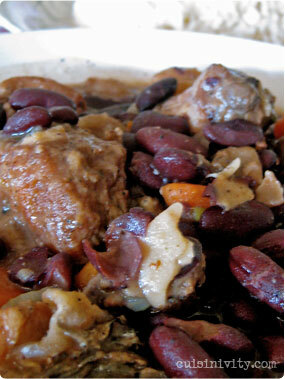 The oxtail was very soft and flavorful and went great with the thick beans and gravy. 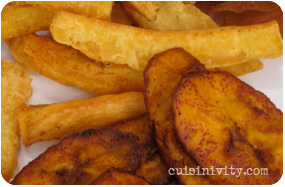 All meals at Aunty Nana's come with fried plantain and pumpkin cake. The pumpkin cake is a big block of dense cake made of pumpkin and spices. This particular one has a lot of ground ginger in it. I was too full and could only have a very small bite. I will have to try it again when I am not so full in order to appreciate it. This month of February seems to be the best month so far for food in Liberia. 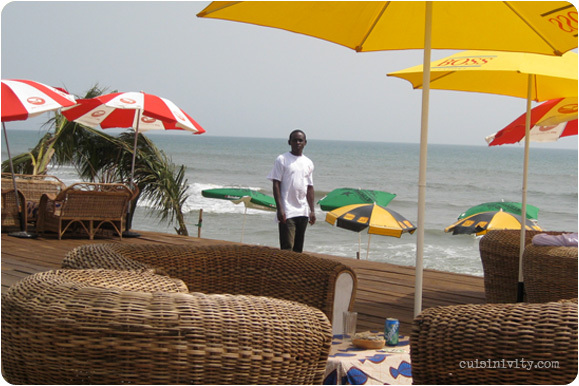 N'yla cafe opened and now I found another great spot in Monrovia: Boola Beach in Congo Town. 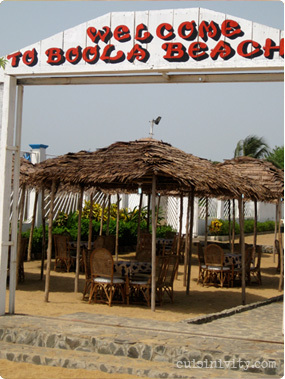 Boola just opened this month and already this beach restaurant definitely makes you feel good about being in Liberia. I loved the wooden platform and cozy furniture on the beach side of the restaurant, and there is also a huge inland side of the restaurant that looks like a cool spot for an outdoor club. The manager, Omer, informed us that they are still in the process of finishing the restaurant with more nice furniture and other additions, with the first phase scheduled to be completed by mid March. This restaurant is not like any of the other beach places where the menu is the same wherever you go. I was rather shocked when I saw Boola's menu. Their menu starts with breakfast omelets with fresh & crisp vegetable salad, fresh bread basket, fruit juice, mineral water and coffee/tea for $10. It seems like quite a good deal to me. 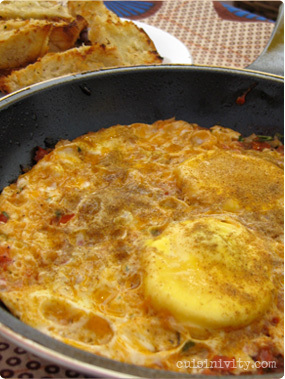 In addition, Boola is probably the only place in the whole country to offer homemade Shakshuka. Shakshuka is a traditional Israeli dish with eggs , vegetables and herbs served in the frying pan. If you are familiar with Spanish Flamenca egg, it is very similar. We ordered this and found it absolutely lovely. It is served with a garlic bread and a makes a good hearty vegetarian meal. Other items on the menu are tuna, feta cheese, fried eggplants, vegetable antipasti or Avocado sandwiches, four kinds of pasta, pizza, numerous salads and some interesting menu items like potatoes with cream, "cowboy beans" (garlic and tomatoes sauce with white rice) an Antipasti plate and several kinds of quiche (broccoli, onion or orange sweet potato). Besides Shakshuka, we tried two different salads and vegetable spring rolls. 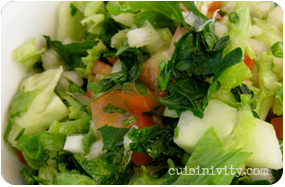 The Middle Eastern salad a mixture of a green salad and tabbouleh, with very fresh herbs and a light dressing. 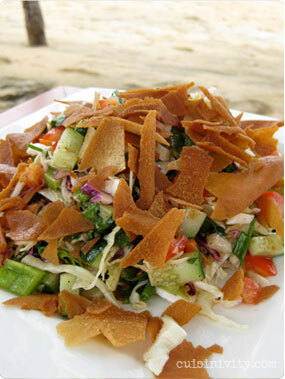 The Boola Beach salad is a Chinese inspired cabbage salad with lots of sesame. Both of them are healthy and refreshing and very tasty. They also have a tuna salad, lettuce salad and house salad on the menu. Omer gave us a taste of their cassava cake (grated cassava mixed with coconut milk and I think condensed milk as well). I did not see it in the menu so I am not sure if they always have it but it was definitely worth asking for it. While I am writing this, I realize that everything we ate was vegetarian. I didn't even notice at the time. That is the mark of an excellent menu and unique cooking. I will stop looking for a better beach bar (for now) - Boola is the winner. See you there every week. (Too bad Omer waited until it is almost time for me to leave Liberia to open up Boola). The Boola Beach will be re-open on March 18th. Today I visited one of the Liberian restaurants that I wanted try in the "restaurant row" on Lynch street in downtown Monrovia. So far, my experience tells me that going to Liberian restaurants on Saturday is not a good idea. It seems like almost all the restaurants have the same daily special on the same day of the week. And Saturday is a day of "dry rice with fried fish" and "dumboy & soup". Of course, I would have prefered split pea or potato greens but as expected, US5 had the usual Saturday menu. So I decided to give dumboy a try. US5 is on a narrow and crowded stretch of Lynch street near Broad street and while it may not look like much on the outside, on the inside it is remarkably clean and quiet. I guess because it was Saturday, it was not crowded at all when we arrived there around 1:30. We ordered Dumboy & Soup and Fried Fish & Dry Rice. Dumboy is a fresh version of fufu (fufu is a fermented and gelatinous mixture of ground cassava root) and it tastes milder than fufu. When I tried fufu for the first time, I did not like sourness. If you disregard the sourness of fufu, it is very similar to a Japanese traditional sweets called "Kuzu-Mochi" which has a very similar texture but we eat with Japanese black sugar syrup and soy bean powder. So since dumboy is milder than fufu, I found that I liked it much better. 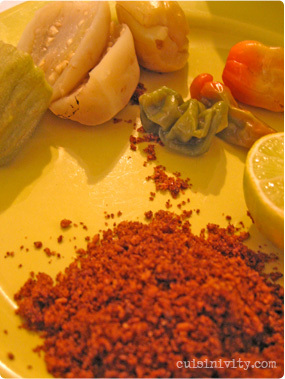 Interestingly, what I liked a lot was the plate of condiments that came with my Dumboy & Soup; lime, Liberian hot pepper, pickled okra and beniseeds powder (aka sesame seeds). The soup itself had some fresh fish, beef and chopped pig's feet. To be honest, it was not a particularly good looking broth. I tried it first without any condiments and my first reaction was good because it did not seem to have as much oil and fat as other soups, which is probably why the broth had less color. I also tried it with condiments and a few drops of lime juice and just that little hint of heat from hot pepper brought the flavor up another notch. I could not tell if they put the dreaded Maggie bouillon in the soup but the soup did seem to have a natural meaty flavor so I hoped that perhaps there were not any artificial flavors (fat chance). I think the proper way to eat this dish is to put some soup into the bowl of dumboy but I ate it the opposite way by dividing the dumboy into very small pieces and dipping them into the soup for a while and before eating. Sorry. 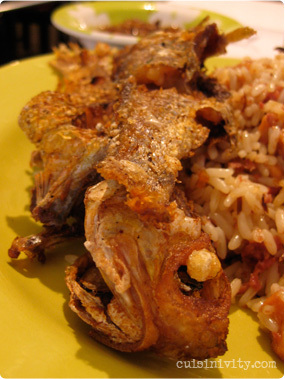 The Fried Fish and Dry Rice lunch was rather, shall we say, interesting. The fish was small and crisp with no seasoning at all. On the other hand, the rice was very salty and the dish came with a side "sauce" so I suppose there wasn't much need to season the fish. The rice also had shredded smoked fish and "lunch meat" cubes (canned meat like spam) which added some texture, albeit not much in terms of taste. I don't remember the last time I had canned meat but I definitely didn't miss it. Frankly, I would have prefered plain white rice but I imagine some folks like this salty-starchy combination. But the best thing from the lunch was actually the "side sauce" condiment that came with it. 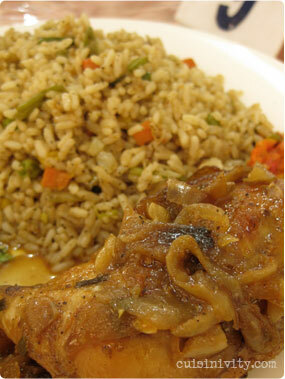 The sauce was a mixture of shredded smoked fish and sauteed onions and oil. I was told that there was some "lunch meat" in there too but thankfully, it was not noticeable. I ended up stealing some of the sauce to eat with my dumboy. The food was not my favorite but the cook clearly had some good ideas and the staff was very friendly and answered my questions patiently about their food. Definitely worth a return on potato greens or split pea day! One regret that I have is I did not start much ealier to really explore local Liberian cuisine. 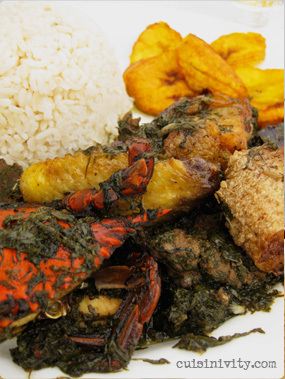 Now that I am leaving soon, I feel a lot of pressure to learn more about Liberian dishes. My favorite Liberian cuisine so far is potato greens and I decided to find out who makes the best potato greens in town. As I conduct my research I will rate each potato greens dish I try. So check back often. Do you know the best place for the potato greens? contact me! Monrovia has changed rapidly since I arrived here two years ago. More retails stores, new buildings, new hotels and lots of new restaurants and night clubs. Golden beach used to be one of the few places where we went regularly for outdoor dining. Even though the quality of food is not so superb the atmosphere is unique since they set the tables wherever you want right on the beach next to the water which is always something special. Since the new restaurants keep opening, I have not been to Golden Beach for a while. I noticed the newly printed menu (with almost the same food) and in addition to their usual items they added a Liberian food special. 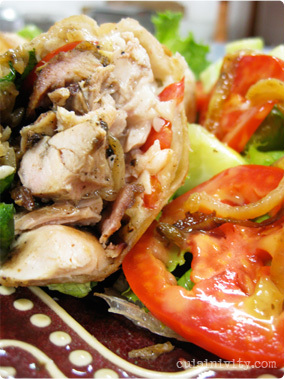 Golden Beach has a more extensive menu than most other beach restaurants. The owner of Golden Beach is Vietnamese (Thank you Chris, the owner of the restaurant, to correct!) and they have some chinese dishes like chow main ($14), fried rice, hot & sour soup ($7) and sweet sour pork ($14) or Indian style food like Samosa and curry. They also offer a selection of sandwiches like club sandwich ($9), chicken burger ($7) and golden Beach burger ($9), some meat plates like grilled pork chops ($15), grilled lamb chops with brandy peppercorn cream sauce ($19) and many fish and seafood items like grilled fresh fish of the day with white cream sauce ($16), fish steak with onion ($14) and grilled shrimp ($19). They also have some pizza but in my experience, this should be avoided. Their new Liberian cuisine specials (copied directly from the menu) are: Soup & fufu ($8) : Smashed steamed cassava in rich broth soup with crab, bonnie, fish, beef, shrimp and bitter boy okro (what is the bitter boy okro? I suppose it means okra.... anyone? 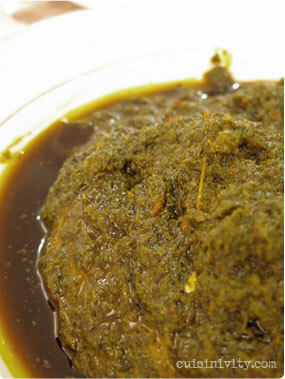 ); Cassava Leaf ($9) : ground cassava leaves & pure red palm oil, stewed with beef, chicken, dried cassava fish and venison (really? ); and Potato greens ($9) *see below. I ordered Potato greens and my husband ordered fried chicken with garlic and pepper ($14). The chicken was very garlicky and spicy like a Sichuan dish so it was better with rice rather than mashed potato. The best part of this dish was the side vegetable. 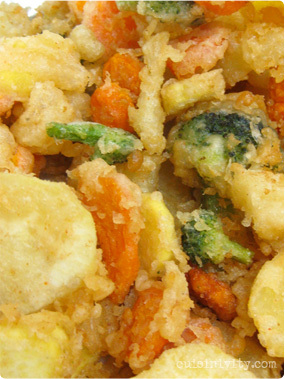 Every time we order food in Liberia, it comes with frozen mixed vegetables - even at Golden Beach. But today, they added the Chinese style sesame and garlic cucumber salad. It was very simple but really good. I think they should add this side salad in the menu. The volume of chicken was outrageous (4 big chunks of chicken) and we brought half of it home. It was quite oily but overall, it was flavorful. The potato greens were nice, too, with more stuff in it than the usual potato greens in town. 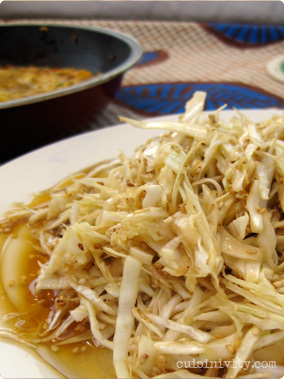 Chopped green potato leaves is stewed with fresh crab, fried fish, dried fish, chicken and beef. The crab gave a good flavor to the greens. Although I am Japanese and eat dried fish a lot, I am not a big fan of the Liberian use of dried, smoked fish in Liberian dishes when it is mixed with fresh fish or chicken. It is too strong and kills the other flavors, in my opinion, but that's how Liberians love it. I suppose they think I am crazy to like fermented beans (called Natto) - my favorite. In my next Liberian page update, I will start rating potato greens from different restaurants in Monrovia so come back to check it out. The newest addition to Liberia's restaurant scene is N'yla, the newest creation from Liberian chef Rozi. The restaurant opens to the public on Sunday, February 8 but I was lucky enough to get an early taste test for this report. 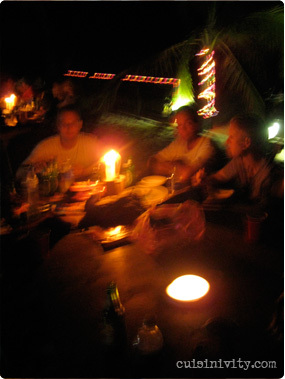 N'yla means "watering hole" in Kpele and it represents a place for meeting, resting, eating and drinking. Rozi did an amazing job transforming an old, destroyed family house near the airfield. From a concrete shell without roof or floor to a multi-sectioned African contemporary style hangout. 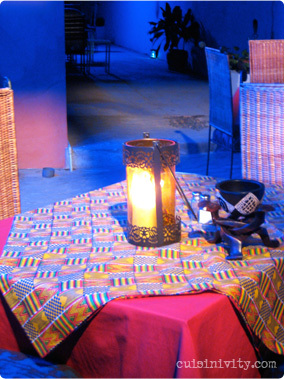 There are 5 different themed sections where you can either chill and enjoy quiet time or have a good time with your friends with a martini glass filled with African theme drinks. From the main entrance, you go through the "N'yla Alley" and the main outdoor dining space "Blue room" is at the end. The wall is painted in terra cotta with a beautiful wooden open roof from which you get a peek of the stars. The blue room has a bar counter and the well-trained bartender can fix you some very yummy cocktails. 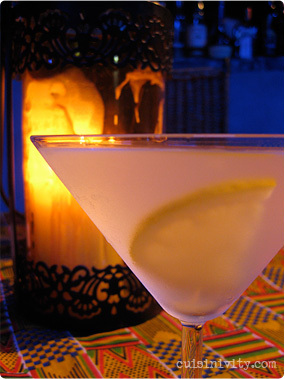 I started my night with the Vodka Lemongrass Twist (US $6). It is kind of a lemon drop with lemongrass scent in it. 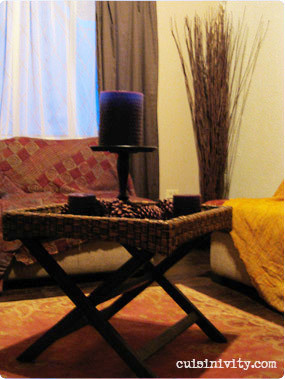 The inside is very nicely decorated with dark color furniture and candles against the coral red wall. There is one dining table inside for a more formal sit-down dinner. The menu at N'yla cafe is not large but full of high quality food. Although there are several large entrees that you can choose from, there is also a great selections of tapas, Lapas (wraps) and salads that you can share with your friends. I dined at N'yla with group of five people and we ordered all six Tapas plates they had and one Lapas, a side of plantain and one salad to share. We were all stuffed. We started with the Honey Yogurt Grilled Fruit Kebabs ($8) which came with sweet pineapples and watermelon with Yogurt sauce. The fruit was so sweet it could be a great light dessert. This was followed by the Latin staple, Potato & Chorizo ($8) and Vegetable Tempura with Dipping Sauce ($6). The other three tapas were all exceptionally good: Spanikopita ($8) which I think Rozi is very famous for, Chili Shrimp ($12) was a sweet/sour/hot/salty bomb and made me really want some rice with it and Chicken in Lemon Garlic ($10) was equally tasty with very soft chicken. 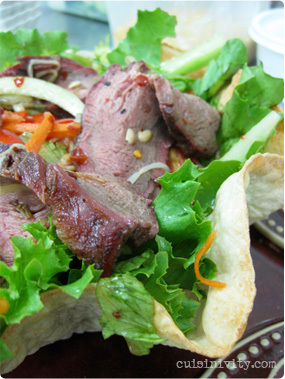 The Thai Beef Salad ($15) is served in a homemade tortilla bowl with lots of vegetables and thick slices of grilled beef on top. Finaly, the Blackened Chicken Lapas ($12) were excellent: nicely smoky flavored chicken wrapped with tortilla and toasted slightly outside. And of course Rozi's desserts were unskippable. We had one Sweet Potato Pound Cake ($5) and Lemon Tart ($5). I loved the Sweet Potato Pound Cake. It was naturally sweet from the potatoes and super moist. It was a little heavy after all those foods we ate but it was still delicious. Next time, I will take some home for breakfast the next morning. Here is the verdict. 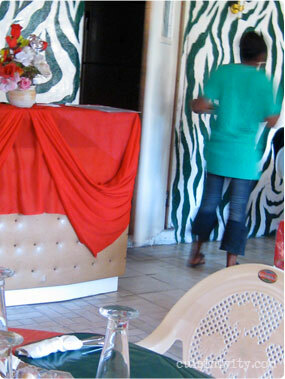 There was no doubt that N'yla is the best restaurant with the most unique cuisine in Liberia. I can already predict that it will be very difficult to score a table if you don't reserve a spot in advance. So be sure to be nice to Rozi so she will be your friend next time you call. 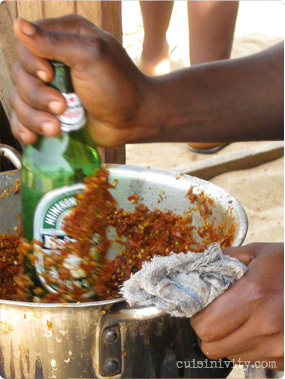 Bottom: Nana's Lodge cook crushing peppers with a Heineken bottle, Lobster (head) meal with rice, chicken and potato salad. 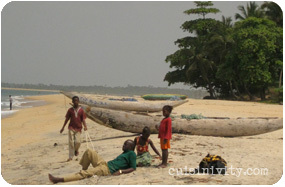 Robertsport is located about 80 miles north of Monrovia and only 10 miles from the Sierra Leone border. It takes about 2-3 hours to drive there, depending on the traffic and road condition. 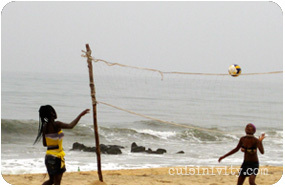 Before Nana's Lodge opened in 2008, visitors to Robertsport had to return to Monrovia each night or pitch a tent on the beach. Camping and BBQ-ing on the beach was fun, but it is definitely nice that you don't need to pack food and drink for the trip. 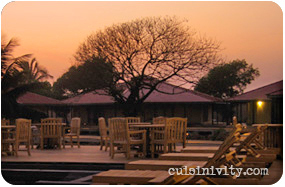 The lodge has 11 tents and each tent is built on a wooden deck. Inside the tent, there are two double beds, two chairs and a small table and a fan. This time of the year the air gets cooler in the morning so it was not uncomfortable sleeping at night. People who stayed at the lodge in December said it was often too hot to sleep inside. We had an all inclusive deal with the hotel and each person paid US $100 for 2 lunches, a dinner, a breakfast and all you can drink (full bar...). Breakfast was scrambled eggs, bacon, sausages, corn bread and cereal with Nescafe. No need to describe much about breakfast. Dinner was a rice, chicken, and lobster. Both chicken and lobster are prepared in Liberian pepper sauce but it was not super hot. Some lucky people got lobster tails but I got a head so there was no evidence of meat inside; but the sauce had a lot of flavor from the head and I thought it was quite delicious. For a rice lover like me (and most Liberians) I can be happy just with a plain rice and this sauce without anything else. I did not get to taste much potato salad because by the time I got food, almost all potato salad was gone but many people mentioned me that they enjoyed it. The lunches were not impressive at all. Stale sandwiches trucked in from Monrovia with colored ham with hot pepper, cheese and pickles. It was not nearly as good as the homeade food made with local produce. Although the food was not spectacular, the service was very good and all the staff were very friendly and polite. They seem to have taken extra care on training staff there. It is shame that they don't serve some of the beautiful fish they can catch around Robertsport. Many restaurants around the world would be jealous to have such easy access to fresh fish and Nana's should take advantage of their good fortune to specialize in local cooking. By the way, I found this website by a Liberian surfer in Robertsport. It looks like he can arrange a jungle tour or a boat trip to the lake and fishing for you while you are there. Terravilla is more a lush jungle than a garden. 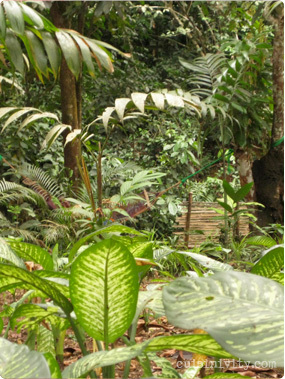 They grow all kinds of tropical African plants in their own forest. Our escorts (three small children of the owner of the garden) had exceptional knowledge about the plants and showed us what they are and how they grow. 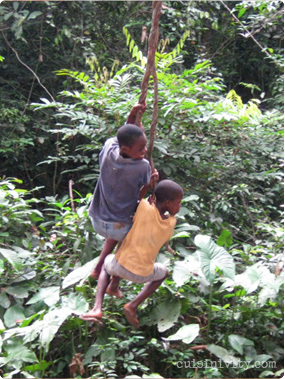 They picked the wild fruits for us and even entertained us on a tree swing. Terravilla has a very reasonably priced lunch which they cooked in an open-air kitchen. 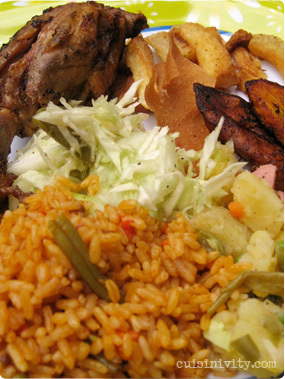 Very well-spiced grilled chicken with jollof rice and everyone's favorite cassava chips and fried plantain. Dessert was sweetest ever local pineapple. I only wish we could enjoy the sounds of birds instead of the blast of Kenny G/Michael Bolton music.... please, next time. It seems like every couple of months, a new "beach resort" pops up somewhere around the city. New or not, they always have the same menu of basic items. The Sunset Beach Resort (used to be called Hawaii Beach Resort) is no exception. 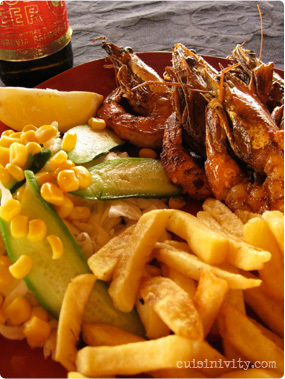 Besides the usual American staples (in Liberian way) like pizza, spaghetti, sandwiches, burgers, fried rice, they usually have several Liberian style grilled items (chicken, fish and shrimp). I usually order either grilled fish (usually Cassava fish) or grilled shrimp which are somewhat reliable. My grilled shrimp came in first and they looked really great so we had a high hope for grilled fish. But what arrived was far from a "Grilled fish". As is often the case, the fish was covered with a frozen vegetable gravy. The quality of fish was excellent so the gravy sauce totally killed the fish. It is still unknown why they call this dish as a "Grilled Fish". 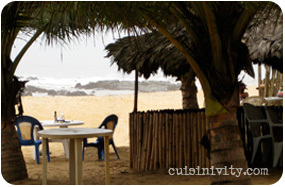 In fact, some of the beach restaurants do grilled fish very well, plain and simple like all the grilled fish should be, served with Liberian hot pepper sauce. So it was rather shocking when this fish dish came to our table. But it was still one of the experiences that you can only get from place like this and it was rather fascinating. My shrimp was perhaps one of the best looking dish I ever had in Liberia. The shrimp had a slight fishy taste but the marinade was very nice. 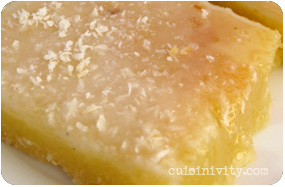 Cassava is also known as "yuca", "manioc" or "mogo" in other regions. The flour made from Cassava root is well known as "tapioka". Cassava is a woody plant in tropical regions and Africa is its largest production. 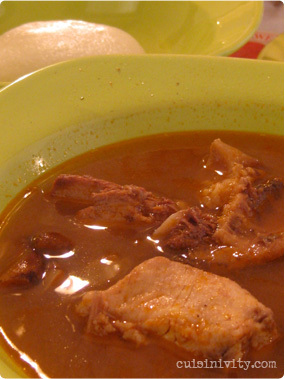 In West Africa, root is pounded and mix with hot water to form a thick paste called "fufu". They also use this bitter leaves to make palaver sauce. They pound them to a fine chaff and cook in palm oil with chicken, beef or dried fish in it and serve with rice or fufu. 1. Beat and grind cassava leaf. 2. Season cleaned fresh meat with salt and pepper and let it stand for 20 - 30min. 3. In a large pot, put all the meat, fish, half of the onion, hot pepper and water to cover. Bring to boil. 4. Simmer until the meat is tender. 5. Take all meats out from the pan and put them in the bowl and cover with foil. 6. 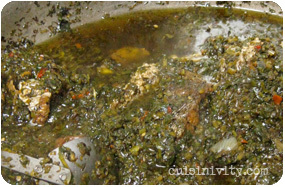 Add cassava leaf to the pot in remaining cooking water. Add 1 tsp salt, pepper and rest of the onions. Cook until the water is evaporated. Stir constantly to avoid the leaf to burn. 7. Add reserved meat mixture and palm oil. Let it simmer for 20-30 minutes or until all the water is gone. Add crumbled bouillon cubes to taste if you like.